THE CLARENCE DANIELS ORCHESTRA FEATURING OBIE JESSIE AND SANDY MILLER-HARD WORKIN’. By the sixties, big bands were no longer as popular as they had once been. That was no surprise as music had changed beyond recognition. Bands like The Beatles, and the British Invasion groups in 1964 were game-changers for the big band leaders. They were in a similar boat to the blues men, and found themselves marginalised, and no longer part of mainstream music. However, there were still venues where the big bands were welcomed with open arms. This included the lounge bars in some of the classier hotels, and the casinos in Las Vegas and Reno. Each night, the big bands took to the stage and played in front of those who grew up listening to the same big bands. In Reno and Vegas, the audience was mainly gamblers, ranging from high rollers, to the little old ladies who had spent much of their day playing the slot machines. After the show, many of the bands tried to sell a copy of their latest album, hoping patrons would want a reminder of the evening’s music. It was a far cry when the heyday of the big bands, and when their albums sold in vast quantities. However, things had changed since then. Even Count Basie and Duke Ellington’s albums were no selling in the same quantities as they once had. For the big bands, and the bandleaders it was a worrying time. Still, though, some big bandleaders were taking their bands into the studios during the sixties to record albums. This included Clarence Daniels, a native of Phoenix, Arizona who started out as a bassist and singer. However, he was always destined for greater things and eventually, founded The Clarence Daniels Orchestra. Initially, the newly founded Clarence Daniels Orchestra were a popular draw, when they played live. Over the years, Clarence Daniels brought onboard a series of guest vocalists. This included Obie Jessie and Sandy Miller, who would feature on singles and albums released by The Clarence Daniels Orchestra. Some of these recording feature on a new compilation from Ace Records, Hard Workin’ which features The Clarence Daniels Orchestra featuring Obie Jessie and Sandy Miller. Hard Workin’ features twenty tracks recorded between 1966 and 1967, and includes singles, B-Sides, album tracks and nine previously unreleased tracks. Quite simply, Hard Workin’ is a comprehensive overview of The Clarence Daniels Orchestra’s all too short recording career. The Clarence Daniels Orchestra’s recording career began in 1966. By then, The Clarence Daniels Orchestra had signed to one of the many independent labels based on the West Coast, Affiliated 45. It was an imprint of Modern Records, which was owned by the Bihari brothers. They were music industry veterans, who were well versed in the ways of the music industry. The Bihari brothers had owned a number of record companies over the years, including Modern Records, plus its imprints Kent Records and Affiliated 45. These two labels would release everything The Clarence Daniels Orchestra released between 1966 and 1967. This included the trio of singles and album that The Clarence Daniels Orchestra released on Affiliated 45. 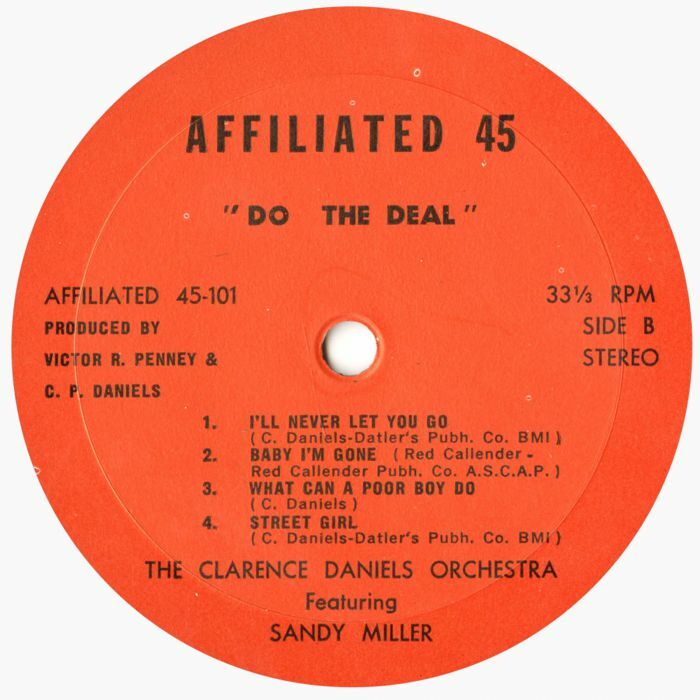 The Clarence Daniels Orchestra featuring Sandy Miller recorded the album Do The Deal, for the Affiliated 45 label in 1966. By then, Clarence Daniels had put together a talented band. They showcase their talents on the ten tracks on Do The Deal, which was released later in 1966. Four of the these songs feature on Hard Workin’. 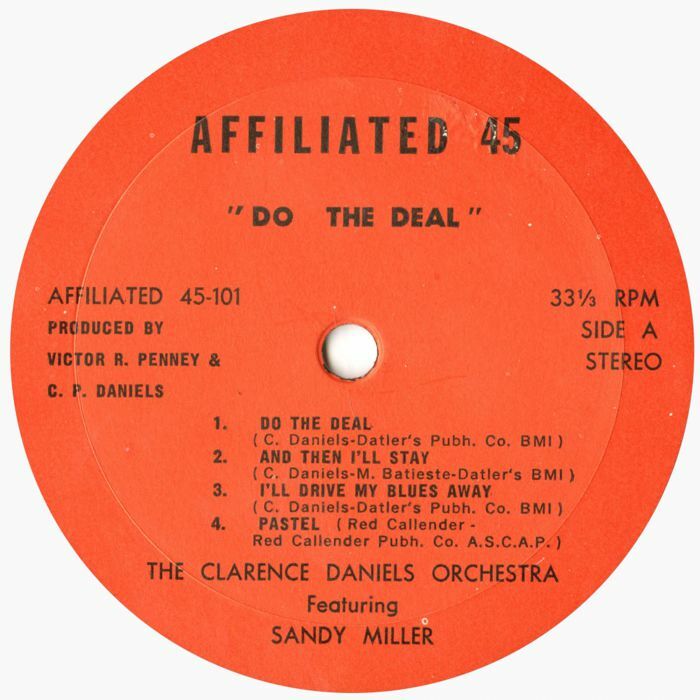 This includes the jazzy Do The Deal, And Then I’ll Stay which features a heartfelt and soulful vocal from Sandy Miller. Clarence Daniels then takes charge of the vocal on Baby I’m Gone and I’ll Never Let You Go, and breathes life and meaning into the lyrics. There’s also a previously unreleased version of Baby I’m Gone on Hard Workin’, which shows the songs taking shape. Among the other songs on the compilation are the three singles Clarence Daniels released for Affiliated 45. They all feature on Hard Workin’. This includes the single that was released from Do The Deal, Baby I’m Gone. On the B-Side, was And Then I’ll Stay. The single was released in 1966, and was one of three released by Clarence Daniels that year. The best known of the three singles was Hard Working Girl, which was released on Affiliated 45 in 1966. Hard Working Girl features twice on Hard Workin’. There’s the single version of Hard Working Girl which swings gently along, and a previously unreleased first take where the vibes play a more prominent role in rhythm. Tucked away on the B-Side of Hard Working Girl was I’ve Got My Walkin’ Papers. It’s an underrated song about someone getting their call up papers, and features a vocal that’s a mixture of machismo and trepidation. Just like Both Hard Working Girl, I’ve Got My Walkin’ Papers is a welcome additions to the Hard Workin’ compilation. It’s a similar case with You Dig It, the third of the singles that The Clarence Daniels Orchestra released on Affiliated 45 during 1966. You Dig It allows The Clarence Daniels Orchestra to stretch their legs and kick loose. Especially the horn section, who play a leading role in the sound and success of this instrumental. It’s one of The Clarence Daniels Orchestra finest houses during their stay at Affiliated 45 in 1966. 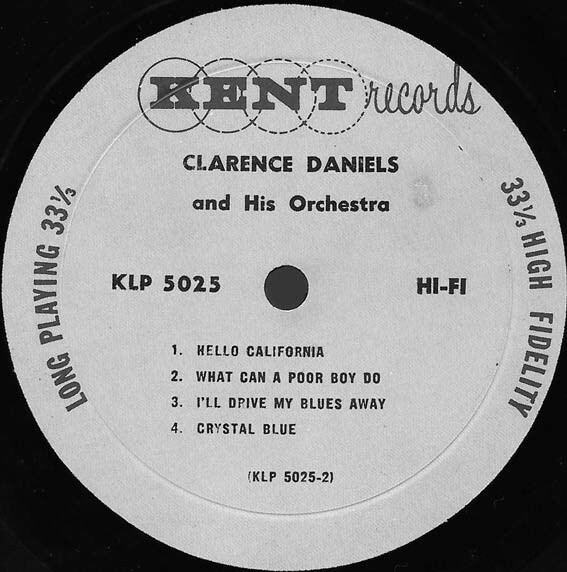 By 1967, The Clarence Daniels Orchestra were being billed as Clarence Daniels and His Orchestra, and had moved to another Modern Records’ imprint, Kent Records. 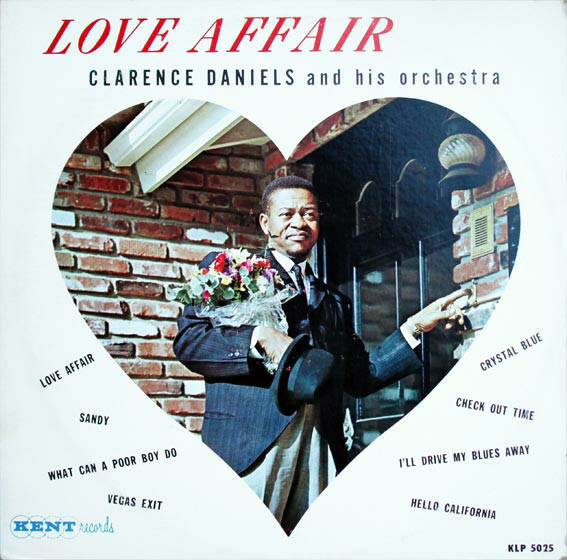 Clarence Daniels and His Orchestra released their sophomore album Love Affair during 1967. 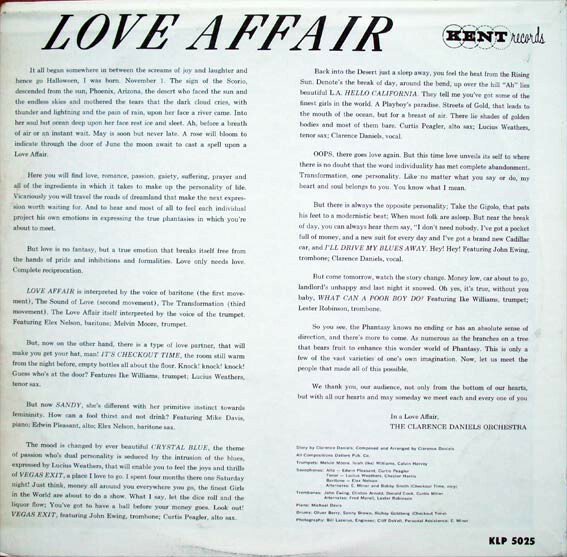 Love Affair featured eight tracks, including Check Out Time, Hello California and What Can A Poor Boy Do? They feature on Hard Workin’ and are among the highlights of Love Affair. Especially, Check Out Time which features a much more contemporary, modal sound. Hello California, which features a vocal from Clarence Daniels, has a bluesy sound. So does What Can A Poor Boy Do? where Clarence Daniels and His Orchestra combine elements of blues and jazz. In doing so, they showcase their talent and versatility. 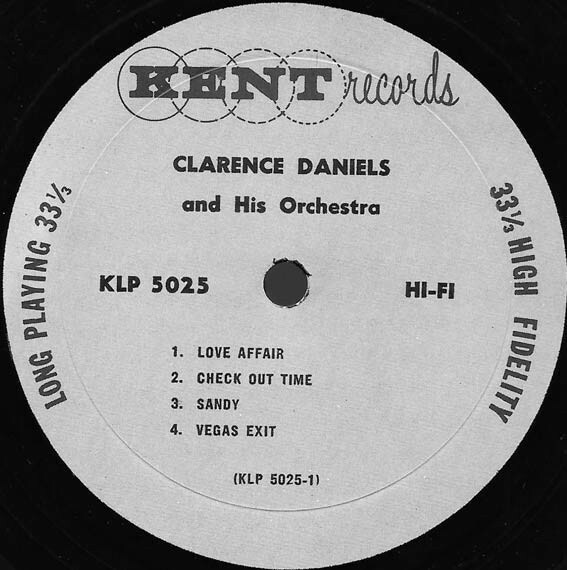 Despite their talent and versatility, Clarence Daniels and His Orchestra didn’t release any further albums on Kent Records. Love Affair which was released in 1967, was Clarence Daniels and His Orchestra’s one and only release for Kent Records. Clarence Daniels spent just two years signed to the Affiliate 45 and then Kent Records. He signed on the dotted line during 1966, and departed in 1967. Sadly, it wasn’t the most successful period of his career. Since then, the Do The Deal and Love Affair albums have been oft-overlooked by record buyers. Thankfully, not any more, as there’s been a resurgence in interest in Clarence Daniels’ music. 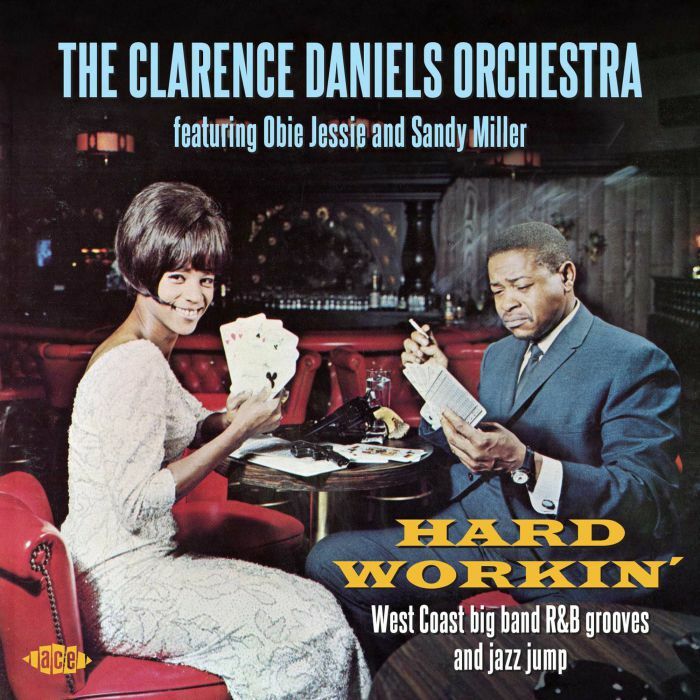 As a result, Ace Records have released a new compilation of music from The Clarence Daniels Orchestra featuring Obie Jessie and Sandy Miller, Hard Workin’. It features twenty tracks, including nine previously unreleased track. They’ll be of interest to anyone with even a passing interest in Clarence Daniels’ music. Especially, the alternate takes of Baby I’m Gone and Hard Working Girl. There’s also six previously unreleased instrumentals. This includes the modal big band sound of Instrumental #1,the Latin jazz of Instrumental #2 and the Latin boogaloo of Instrumental # 3. Daddy’s Got A Shotgun heads in the direction of R&B, while the Orchestra’s horns play a leading role on Lonesome Shack and Cream Sherry. Sandy Miller adds the vocal on I Got To Get Ready, while Clarence Daniels takes charge of the vocal on Lonesome Shack. It’s another of the hidden gems on Hard Workin’, which was recently released by Ace Records. Hard Workin’ which features the talents of The Clarence Daniels Orchestra featuring Obie Jessie and Sandy Miller is a compilation that will appeal to many people. First and foremost, fans of The Clarence Daniels Orchestra will enjoy the music on Hard Workin’. It’s also an opportunity to enjoy the vocal prowess of Obie Jessie, Sandy Miller and bandleader Clarence Daniels. He put together a truly talented orchestra, who showcase their considerable skills throughout Hard Workin’. This includes on the three singles and the album Do The Deal, that The Clarence Daniels Orchestra released on Affiliate 45 during 1966. A year later, and now billed as Clarence Daniels and His Orchestra, the album Love Affair was released on Kent Records. Just like Do The Deal, Love Affair featured one of the most underrated big bands of the sixties. By then, big band music was no longer as popular. Realising this, Clarence Daniels took big band music in different directions, incorporating blues, Latin jazz, Latin boogaloo, modal jazz and R&B into the two albums that they released. Clarence Daniels realised that standing still wasn’t an option. If he stood, then his Orchestra risked becoming irrelevant. However, by trying to reinvent his music, Clarence Daniels and His Orchestra ensured that their career continued. In the case of Clarence Daniels and His Orchestra, this meant heading to Vegas, where he played in casinos and the lounges in upmarket hotels. Through constantly reinventing his music, Clarence Daniels and His Orchestra were able to continue to make a living out of music. Meanwhile, many bigs bands folded, or were reduced to playing in less salubrious establishments. However, Daniels and His Orchestra survived the change in musical fashions, and continued to release albums. 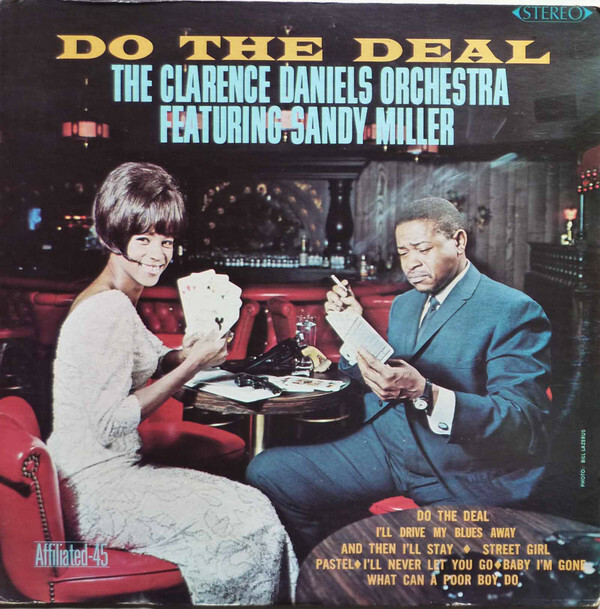 These albums are more a reminder of the night they saw one of the last remaining big bands in all its glory, while Hard Workin’ is a reminder of The Clarence Daniels Orchestra featuring Obie Jessie and Sandy Miller at the peak of their musical powers.